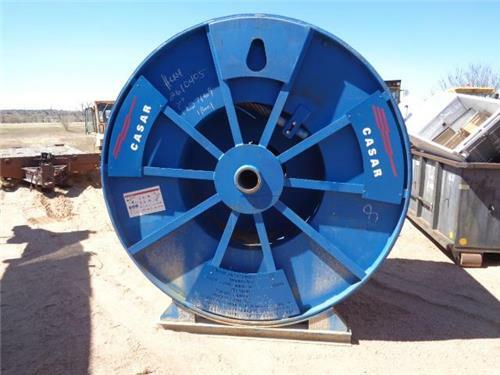 CASAR HIGH PERFORMANCE MINING ROPE GALVANIZED CABLE ROLL SPOOL BRAND NEW 55.5MM. call troy at 970-466-2886 if you have any questions or comments. thanks for looking and good luck! we take paypal visa mc amex and discover, as well as checks or wire transfers. Payment is due within 3 days of sale unless other arrangements have been made or if payment is due upon you picking the item up. Please contact us if you have any questions. Please use checkout to pay for this item online unless you have made other arrangements with us prior to the end of the sale. All sales are final unless otherwise stated in listing. All sales of large or freight items are final at all times. We cannot and do not refund any shipping fees on any sold item. All shipping costs are the responsibility of the buyer. ANOTHER LOT OF PLASSER RAILROAD RR NEW OLD STOCK PARTS TONS AND TONS!